extras). The end result is increased sales, happier customers and positive word of mouth. Praise for WYPG? "In business you must do something that's above and beyond what's expected. Phelps shows the ingredients behind creating signature extras that are unconventional and innovative. Every business should be asking themselves, "What's our Purple Goldfish?" -Tony Hsieh, NY Times bestselling author of "Delivering Happiness" and CEO of Zappos.com, Inc. "Influence isn't a score, it is the ability to cause, effect or change behavior. Phelps shows marketers how to add that 'little something extra' that influences consumer behavior and drives word of mouth." - Brian Solis, Author of The End of Business as Usual, Named a Top 2011 Business Book by Publisher's Weekly “What's Your Purple Goldfish? is the new benchmark for customer service and experience excellence. The single source for numerous concepts and innovations that can help build the foundation for a world class brand! 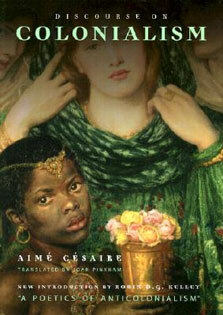 (I just hope my competition doesn't find this book. )” - Chris Zane, Author of Reinventing the Wheel - The Science of Creating Lifetime Customers “Stan’s approach of delivering the unexpected, lagniappes, is a great way to break from the pack and instill a mindset of customer delight across your company.” - Bruce Temkin, Author of The 6 Laws of Customer Experience “Your project has been an inspiration. I’ve talked about it many times, and included links in my articles. CEM can be complicated, but your examples show that with some creativity, companies can stand out by doing a little something extra.” - Bob Thompson CEO of CustomerThink.com, the world's largest community dedicated to customer-centric business, Author of CrowdService: Harnessing the Wisdom of Crowds in Customer Service and Support “What's Your Purple Goldfish? busts a myth and reveals a simple truth about customer service. 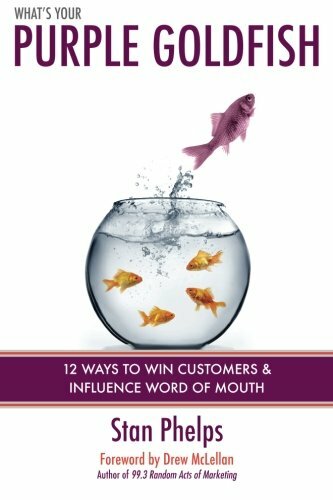 Stan uncovers the recipe for creating signature added value that increases customer satisfaction and drives positive word of mouth.” - Barry Moltz, Author of Bounce, Crazy and B-A-M “What's Your Purple Goldfish? is unique in that it doesn't leave you asking ‘Now what?’ after you've read it. It's filled with actual illustrations of what successful businesses are doing right now to differentiate themselves and add value to their customers' experiences.” - Steve Curtin “What's Your Purple Goldfish? is a great guidebook full of real-world examples business owners can use to increase great experiences to delight and surprise their customers. Read this book before your competitors do or be left in the dust.” - Phil Gerbyshak, Author / co-author of 10 Ways to Make it Great! and #Twitterworks “I have been a huge fan and contributor to The Purple Goldfish Project since inception because many companies talk about being ‘customer centric’ but few actually are. This project is a reflection of all those great companies that are getting it right every day, winning the hearts and minds of their customers one customer at a time!” - Paul Dunay, Author of Facebook Marketing for Dummies “At the heart of the marketing lagniappe concept lies the truth that we cannot simply meet the expectations of customers. Every experience starts with a person who had a need they would trade something of value to have solved. Lagniappe can create the difference between needs not solved or solved poorly, and needs solved so well we happily tell others of the experience. Purple Goldfish, crafted wisely in customer experiences, can be the difference between mediocre and great business performance.” - Linda Ireland, Author of Domino: How Customer Experience Can Tip Everything In Your Business Toward Better Financial Performance How do you stand out in a sea of sameness?